Looking for a beautiful Birthday, or holiday gift for your special sister? 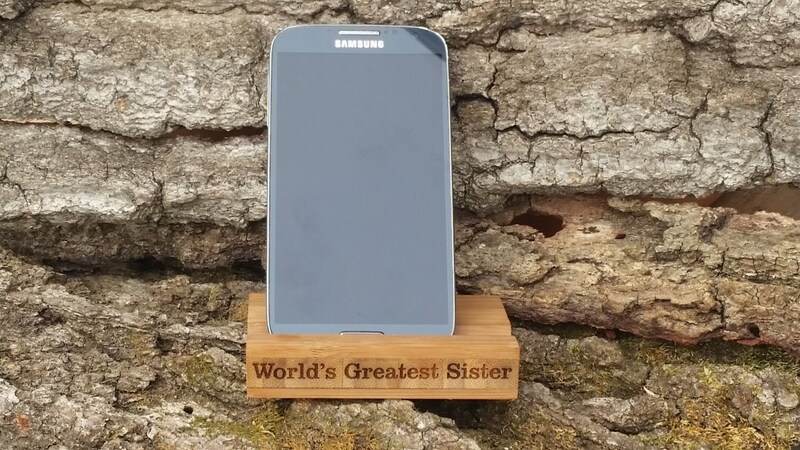 This beautifully crafted bamboo smart phone holder custom engraved with your choice of words or "Greatest Sister Ever" will make the perfect gift for any special occasion. Size: 4 inch wide x 3 inch deep x 3/4 inch thick with 1/2 slanted slot for phone or business cards. Thank you for browsing FineGiftsEngraving.etsy.com where fine craftsmanship and engraving meet! Don't forget to bookmark this page for an easier return!